Stop losing money on miscalculations and find the best real estate deals! 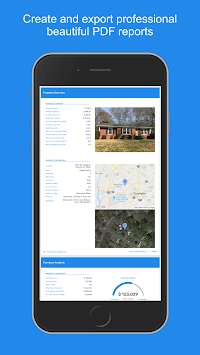 Loved by thousands of real estate investors, agents, lenders and brokers, DealCrunch takes real estate analysis to the next level. 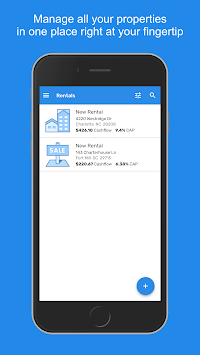 It provides you with the simplest and most intuitive user experience that can help you analyze rental property, rehab renovation project as well as other investment types. Have you ever put in an offer for an investment property, got accepted, and turned out you were way overpaid and got burned? Have you ever bought an investment property and thought it could be the cash generator but turned out it ate up most of your profits? It’s time to stop that and be serious about crunching numbers and performing due diligence when investing in real estates. While others are still using outdated spreadsheets and complicated formulas, DealCrunch could save you hundreds and thousands of dollars by offering you the most accurate analysis and improving efficiency with the easiest user experience. You could be guaranteed that your pro forma calculations and profit projections are truly accurate, complete and unbiased. Forget about all the other complicated calculators that make deal analysis boring and scary, DealCrunch calculation wizard will guide you through every step of the way to crunch the numbers and perform due diligence on all types of investment properties, such as single family rental, multi-family rental, flip, rehab project, commercial building, raw land etc. DealCrunch makes deal analysis and calculation easy and fun. 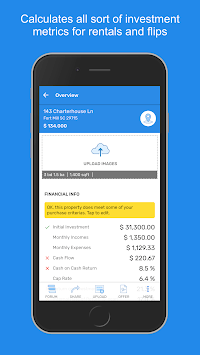 Our app will calculate a complete analysis of the deal, and generate an interactive summary report that includes initial investment, financing cost, repair cost, holding cost, mortgage payment, cash flow, cash on cash return, cap rate, return on investment, internal rate of return, rent to value ratio, gross rent multiplier, debt coverage ratio, annualized return and much more. You can share your deal analysis with lenders, partners, or other investors via a nicely designed interactive report that works perfectly on all screen sizes, from mobile phone to desktop. You can also compare your investment properties against your buying criteria, and perform reverse valuation analysis to find out your highest offer to the seller.